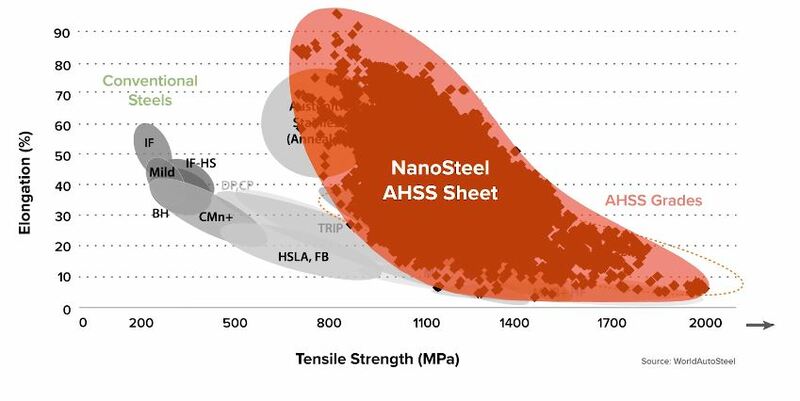 NanoSteel last week announced it had given General Motors a steel delivering not only ultra-high-strength capability but formability, another technology which could spur increased automotive lightweighting. The “commercially produced” metal delivers about 1,200-megapascal tensile strength while preserving 50 percent elongation, according to NanoSteel. That’s the same specs predicted by NanoSteel automotive engineering Vice President Tad Machrowicz last month at Automotive Megatrends. He said then the company might also achieve another steel delivering 1,700 MPa strength with 30 percent elongation. Here’s where the metal delivered to GM sits on the steel “banana curve,” according to a NanoSteel video. Here’s other elongation and strength targets NanoSteel says it can achieve. 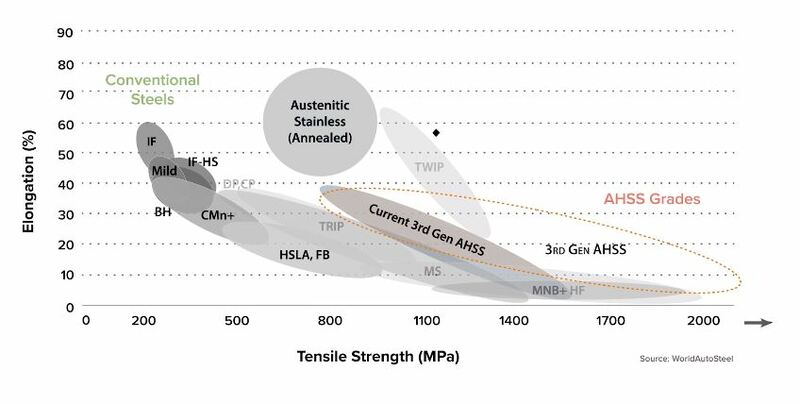 The 1,200 MPa/50 percent elongation steel announced Thursday makes for an impressive automotive steels package that avoids what NanoSteel calls a “historical tradeoff” of strength and formability. It might allow GM’s engineers to create more complicated body-in-white shapes out of very thin, strong metal “without expensive processing techniques, employee retraining or additional capital costs,” according to NanoSteel. NanoSteel and AK Steel worked for years on the steel. More elaborate shapes can mean engineers require less steel overall to protect vehicle occupants from crashes. It’s all a matter of structural geometry. To use a highly simplistic example, think of those experiments in elementary school in which a “bridge” made of straws or toothpicks takes the force of a textbook or brick placed atop it. Maximize the geometry (triangles! ), and the bridge stays intact. See more on the topic and NanoSteel here. 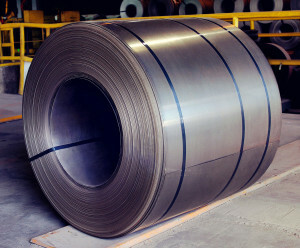 Third-generation ultra-high-strength steels like NanoSteel still require repairers to watch their heat and often replace the metal rather than repair it, if the damage is severe enough to require welding or patching. In that respect, the more formable versions of the light but strong metals will resemble the previous generation’s higher-strength steels — at least for now, according to Machrowicz. But at least the new material shouldn’t mean a new restriction or procedure to learn, he said.